I think my style this time around is Clean and Layered! Hi Friends, This is my last post as a Guest Designer over at The Card Concept and let me just say I have thoroughly enjoyed my time with Lesley and her fabulous and talented team. They have been super sweet to me! I sure hope I didn’t disappoint them with my cards…the talent over there is unreal!! Thanks again ladies!! 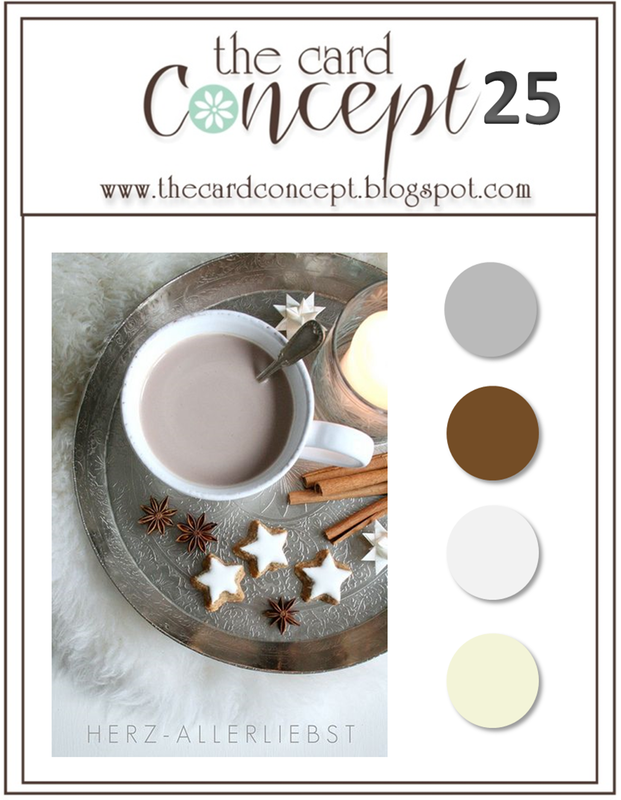 The challenge this time around is to use nothing but neutrals on your card and or project and we have an awesome inspiration photo as well. Since I am still in the Christmas card mode and the Photo inspiration had star cookies on the plate, that is where my creativity lured me. I started off making my background with some embossing paste…boy I love that stuff. 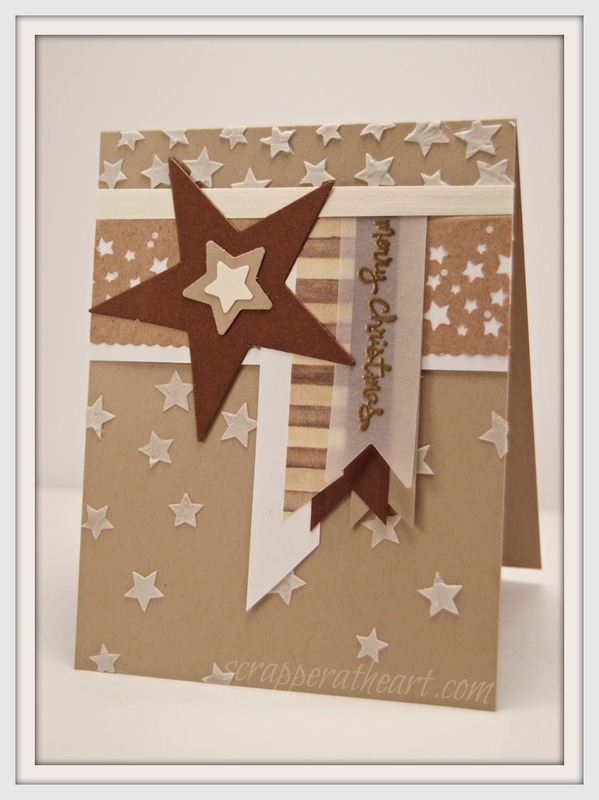 The templates for the stars and sentiment is all from Stampin Up and the brown star strip was made with a lunch bag. In case you can’t tell the sentiment is heat embossed and stamped on vellum. The rest of the card was made with scraps of this and that. Boy do I need to use up my scraps..they are taking over my craft space. It may be time to throw some out, I just hate waste! Now, Please head on over to The Card Concept and check out the rest of the teams work…you won’t be disappointed and after you have done that….. Please Join Us! Categories: Cards | Tags: Card making, Cards, Christmas cards, color challenge, rubber stamps, stamping, Stamping Up | Permalink. I love all the layers and textures on this card, Nancy. Beautiful design with all those Christmas stars on it. Love it in the neutral colors too! Beautiful neutral card. Love the stars and the embossing paste. Great job. Wowza!! Nancy, your star card is super cool! !